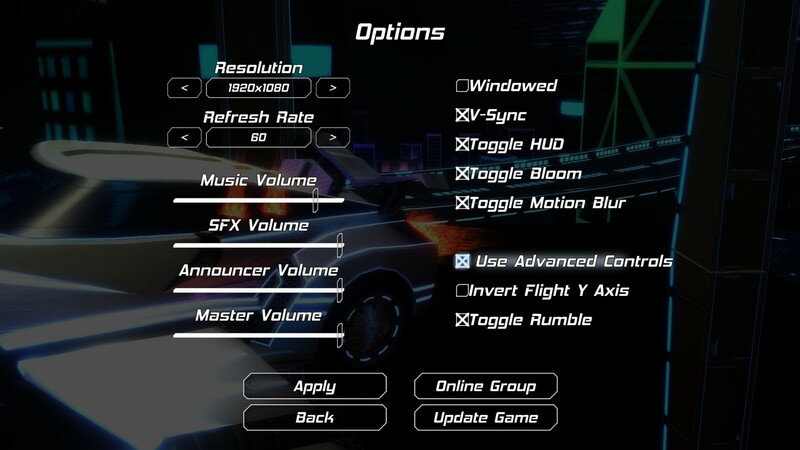 In the options menu of Nitronic Rush, there's a checkbox for something called advanced controls, but there's no description of what this actually means. What does this option change, exactly? 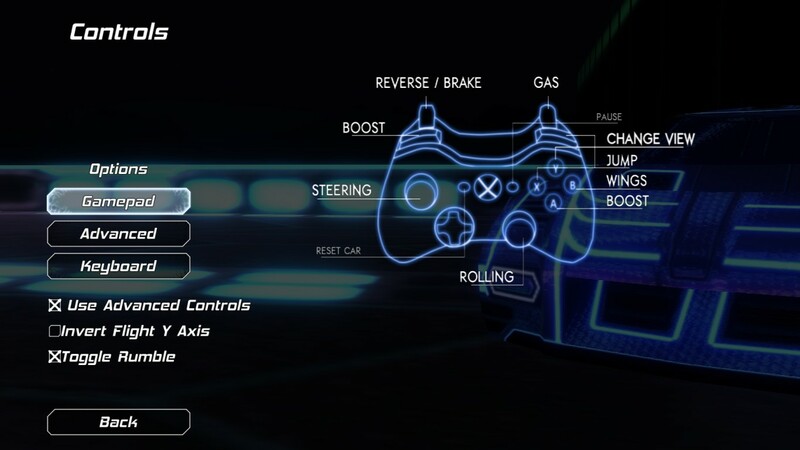 This is a control that shows up in multiple places within the various Nitronic Rush option screens. You unfortunately happened upon the place where it has the least explanation. It shouldn't be to much of a surprise to you, but this option toggles the use of the advanced Xbox 360 gamepad controls. But what that does, exactly, is better explained in the "Controls" menu, which can be accessed from the main menu. In this menu all possible control schemes are explained and you can choose between them. The only major difference between the Advanced and "Normal" gamepad control schemes is that instead of using the right analog stick for roll control, you hold the left bumper to switch into "Roll Mode", and use the left analog stick, which is normally used for steering. For completeness, I have included some screenshots of the different control schemes here. 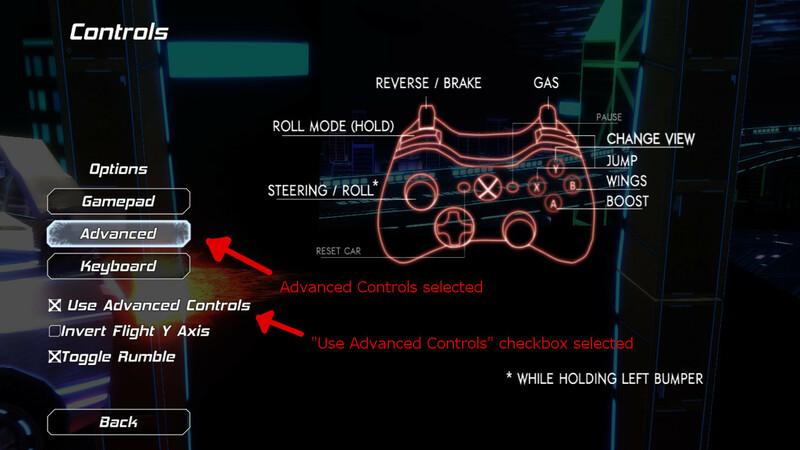 And here are the Advanced controls which, as noted by the overly obvious red arrows, can be chosen by either checking the "Use Advanced Controls" check-box, or clicking the big "Advanced" button. Not the answer you're looking for? Browse other questions tagged nitronic-rush or ask your own question.